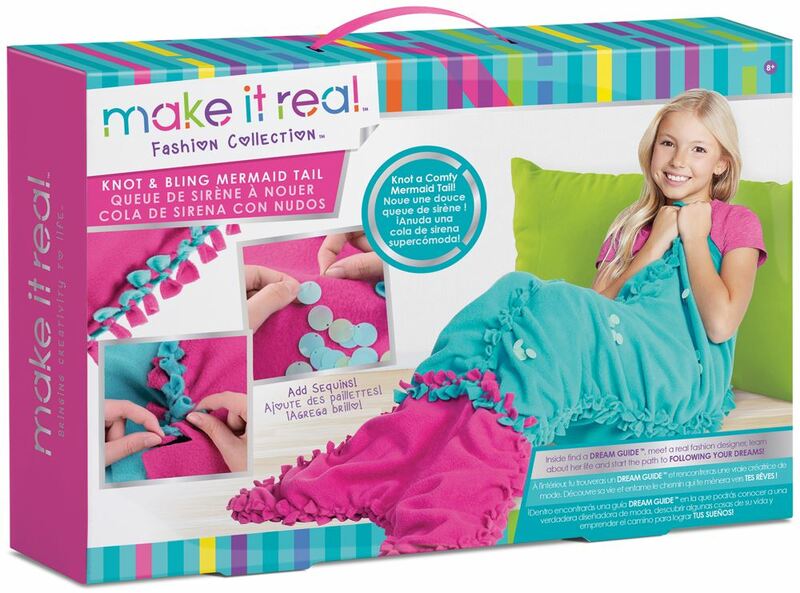 With this Make It Real DIY project, there’s no need to go underwater to create some mermaid magic. With pre-cut fabric, kids will learn spatial skills as they construct the tail knot by knot. Plus, cozy fleece fabric means snuggles for days! Includes 5 pieces of fleece, 40 sequins, sewing kit, instructions and a dream guide. Age 8+ years. Part of the Decor Collection. Distributed in New Zealand by Holdson.